AOL Portfolios has shut down its service as of January 8th, 2019. This will require attention and action from every user. You can still see your portfolio data on our sister site, Yahoo! Portfolios, a best-in-class tool where you can see all of your information in one place and trade quickly and easily with any U.S. broker. To continue, click the ‘Log in to Yahoo! 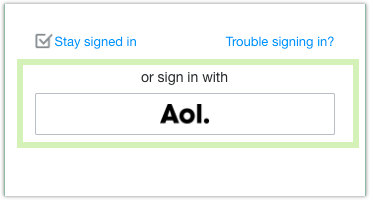 Finance’ button below, and when asked for your username and password, select the ‘sign in with AOL’ option.